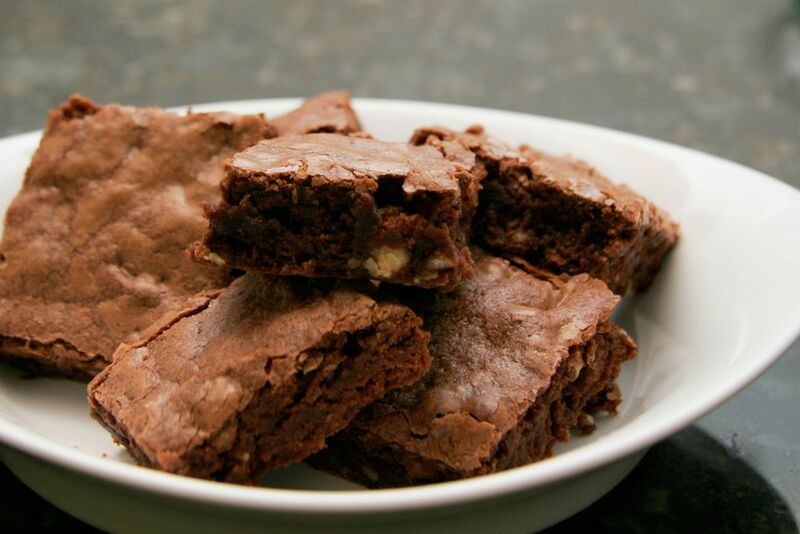 Chocolate saucepan brownies are a quick, super-easy and delicious preparation. Just melt the butter and chocolate, beat in the sugar, eggs, and dry ingredients, then bake. That's all there is to it! Heat oven to 325 F. Grease and flour an 8-inch square baking pan. In a saucepan over low heat, melt the butter and chocolate, stirring constantly. Remove from heat and let cool. With a whisk, beat in the vanilla and sugar. Whisk in eggs, one at a time, beating well after each addition. Stir flour, measure into a small bowl, and stir in the baking powder and salt, blending well. With a wooden spoon, stir the flour mixture into the first mixture. Stir in the chopped nuts, if using, blending well. Spoon into the prepared pan and spread evenly. Bake the brownies for about 25 minutes.